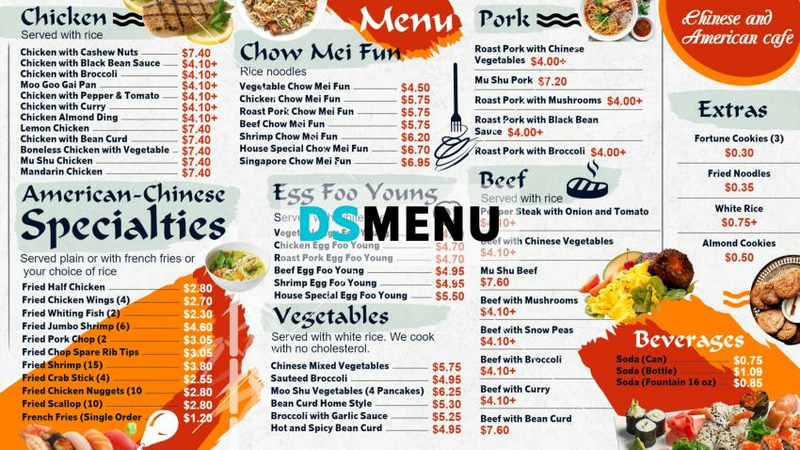 A very sophisticated Chine menu board with innovative designs. The white color background provides the elegance while the golden color shades and black typeface support the designs perfectly. On a digital platform this menu board will sizzle. The menu too provides eclectic options with American-Chinese specialties along with beef, pork and chow mein items.